The Urban Folk Quartet’s distinguishing features have much less to do with the traditional idea of genre. 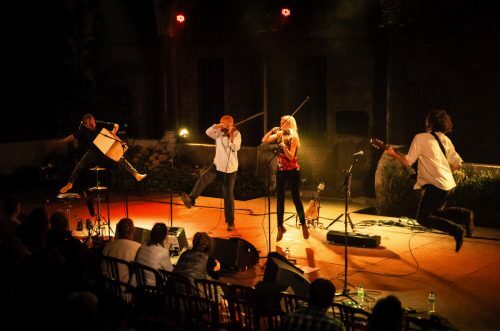 Yes, this is fiddle-led music that draws heavily from celtic dance forms and traditional song but from there on in it is unlike any folk band you have ever heard. Just as English country dance unassumingly met with big band jazz musicianship in the mid 20th century, The UFQ’s approach to the folk ethos is to embrace any and every influence that genuinely makes sense of their time and place and makes sense in their music. From funk grooves to middle-eastern melodies, Afro beat to north Indian rhythms.